Happy December! The countdown to Christmas has begun. The kids loved opening the first little packages on their advent this morning. I also bought them a chocolate one each a while back before I decided to make my own. Elizabeth carefully opened the first little door on hers while Archie somehow managed to open the end of the calendar and has shaken most of the chocolates out the bottom! This is my mosaic of Instagram pics from November. 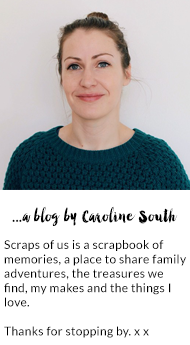 As always there were lots of trips to the beach, a visit to this lovely fabric shop, playing with buttons, at Pagham Harbour, pretty skies and some treasures found in the garden out and about. A beautiful mosaic. I'm laughing at Archie. Boys are in a league of their own. 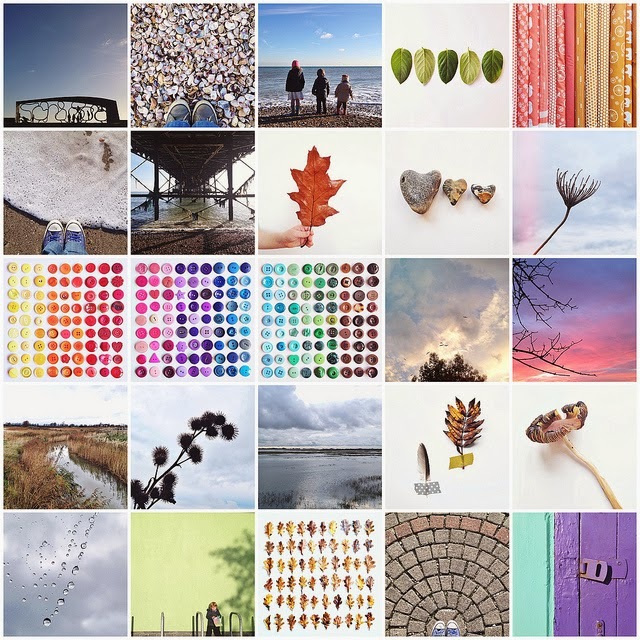 I love your mosaic, especially the photos of buttons and leaves, so interesting.